Home » Community » Hop along to fun activities near Columbus this Easter! The weather is getting warmer, the days are getting longer–Spring is in the air! Easter is right on its heels, occurring on March 27th this year. Easter baskets are about to be filled nationwide with pastel candy and chocolate eggs as celebrations of this season of renewal take place. We have a few suggestions for Easter events near Columbus GA for you to check out if you’re interested in venturing out this holiday! The Wynn House is a beautiful site which hosts numerous events. On Sunday, March 20th, it will host the Wynn House Easter Egg Hunt at 3:00 p.m. For $5 each, families can enjoy visiting with the Easter Bunny, face painting, Easter basket contests, and the big egg hunt itself! A free photo opportunity with the Easter Bunny will also be available. If you are an avid runner or walker, check out the Great Bunny Chase 5k at Callaway Gardens on Saturday, March 26th. Even if you have run marathons before, have you ever hunted for Easter eggs at the same time? Now is your chance to participate in this unique event, and afterwards, an Easter egg hunt for the kids will be held. On Saturday, March 26th, head to the lovely F.D. Roosevelt State Park in Pine Mountain for their Egg Decorating Contest at 6:00 p.m.. Use the wildest reaches of your imagination to decorate a hard boiled or blown egg. There are categories for youth and adults, so everyone gets a fair shot. Judging starts at 6:30 p.m. Admission is $3, with a $5 parking fee, and the cost to enter your creation is $3 per egg. Drive on down to Roosevelt’s Little White House in Warm Springs for their 5th Annual Easter Egg Roll and Hunt on Easter Sunday. Kids can bring their Easter baskets for hunts that start at different times, with the first one beginning at 1:00 p.m. Then at 2:30 p.m., all kids can participate in an authentic Easter egg roll! Will the Easter Bunny leave the keys to a powerful used Ford truck in your Easter basket? We hope you’ll enjoy all kinds of family fun with these activities! 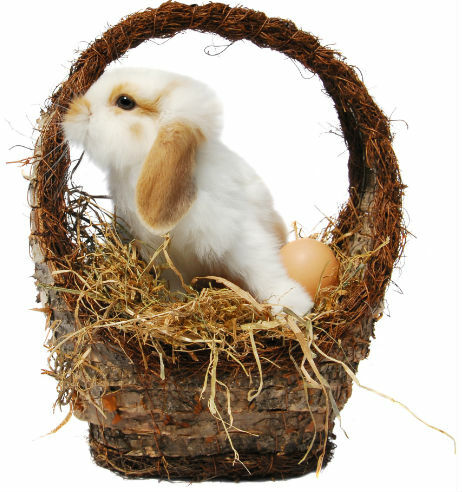 From all of us at Gil’s Auto Sales, have a happy Easter! This entry was posted on Saturday, March 12th, 2016 at 12:07 am	and is filed under Community, Seasonal. You can follow any responses to this entry through the RSS 2.0 feed. You can leave a response, or trackback from your own site.